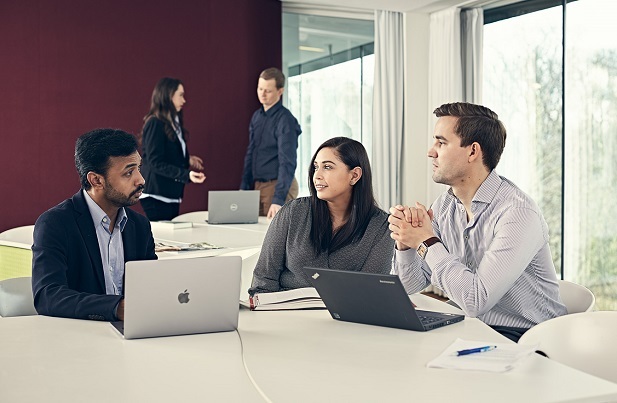 The Economist has placed the Copenhagen MBA among the top 30 full-time MBA programmes in the world when it comes to student diversity. The programme’s rank in this category is based on the spread of regions from which students hail, gender diversity and students’ own rating of culture and classmates. The ranking, published on 25 October 2018, evaluates programmes in four main categories: new career opportunities, personal development/educational experience, salary and potential to network. It takes into account data reported from the school as well as survey responses from current students and recent graduates. Overall, the Copenhagen MBA ranks #89. Compared to the last Economist ranking, the Copenhagen MBA has made a significant leap when it comes to personal development/educational experience, climbing 37 places. Andreas Rasche is the newly appointed Dean for the Copenhagen MBA and teaches Managing Responsible Corporations to the students. The surveyed class graduated in 2018 and featured 44 enrolled students,18 women and 22 different nationalities. Recent graduates of the programme are also surveyed, and together these responses make up 20% percent of the total ranking weight. Click here to visit The Economist Which MBA? 2018 Full-time MBA Ranking and learn more about how the Copenhagen MBA performed in each category.